Search for mahj teachers in your area. To request changes or additions to the list, please contact us. Below are a few mahjong books which we have found helpful to learn how to play various styles of mahjong. 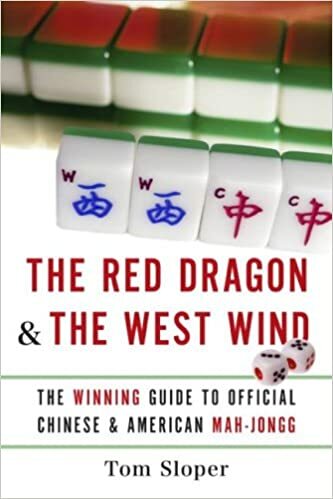 The Red Dragon & The West Wind is the perfect introduction to this ancient game of strategy and subterfuge, covering all aspects of the two most common varieties, American and Chinese, along with an overview of other global approaches. The book begins with the history and origin and moves on to the rules of play and ways to win and avoid essential errors as well as the etiquette to follow. 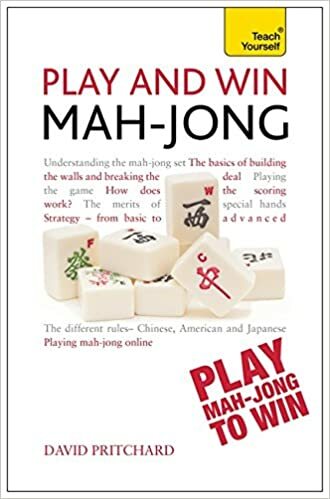 With everything from clear instructions on dealing, building, and distributing tiles to a look at the history and future of the game, this is the essential book for anyone who wants to have fun–and win–while playing mah–jongg. This affordable best selling book is the only available game strategy guide that is specifically geared toward American Mahjong (Mah Jongg) and follows the official National Mah Jongg League rules. 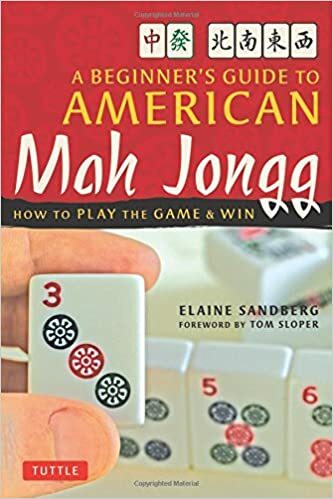 Offering first-time players an easy-to-follow guide to this complex game, A Beginner's Guide to American Mah Jongg includes simple, easy-to-follow instructions and clear diagrams to walk the reader through each step of the game, including how to select a hand, how to play and how to develop winning strategies. A key feature is the color text which clearly show various hands and tiles. From the most common Chinese traditions to the most arcane, this text contains over forty different Mahjong variants with detailed explanations and hand illustrations to appeal to beginners and masters alike. Ever wondered what else these beautiful tiles can do? Also included are games like Meow Meow Mahjong, Sap Tim Pun, Ten Phases, fortune telling and more. Tom Sloper of Sloperama Productions writes "Scott Miller has amassed an impressive amount of information about a great many mah-jongg variants. 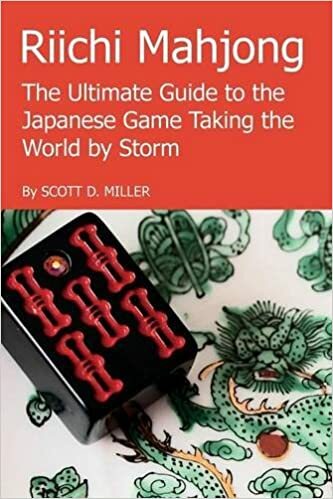 This is a work that all scholars and researchers of mah-jongg and games will need to add to their libraries. It's a valuable resource that's sure to add some branches to the family tree of mah-jongg." Mahjong-the most popular game in the world. This is the game that legends adorn, of scholars, and treasures, where dragons are borne. With winds that blow and fortunes that flow, it's here through it all, our good fortune will call. Prepare to learn about a four-player tile game of winning hands, luckytiles, sacred discards, glory, and woe. Are you up to the challenge? Master the game of Mahjong with this must-have game strategy guide for Mahjong beginners and enthusiasts. Mah Jong Handbook is the all-comprehensive Mahjong guide, offering a clear and concise introduction to the classic Chinese, Western, and Japanese rules of the game and outlining its many variants. 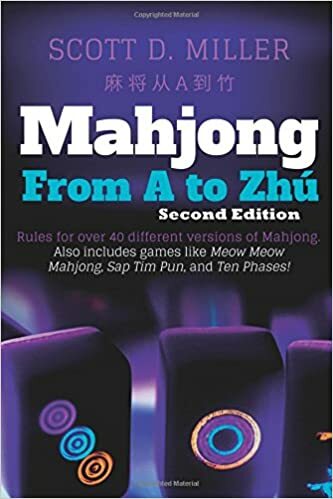 A great way to learn Mahjong—it presents the complex rules in a clear format, introducing those unfamiliar with the game to its rules and techniques. It will also allow more experienced players to quickly expand their understanding of winning strategy. Part One covers the rules of the game. Part Two provides alternatives, variations, and additions to the game. Part Three explores the fundamentals of successful strategy. 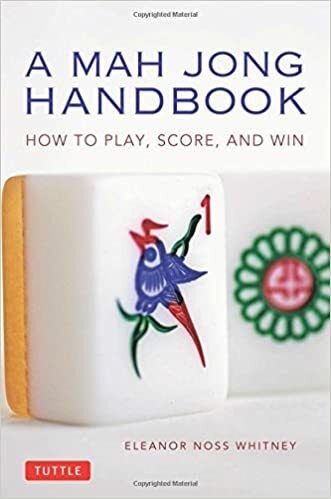 With illustrations of sample hands, scoring charts, and a glossary of terms, A Mah Jong Handbook is an invaluable resource—a complete guidebook to the ancient but always fascinating game of Mahjong. Here are a couple of DVDs which will teach you how to play mahjong. This DVD featuring Susie is simple to understand. You watch it once, maybe a second time and you are ready to sit down at the table and play. It covers everything from how to set up your pieces to how to play the game of Mahjong. And so much more! You'll never wonder if you are doing it wrong. You'll never be embarrassed by saying the wrong thing or making the wrong move. You'll understand strategy, which hand to play, and the American Mahjong Rules. 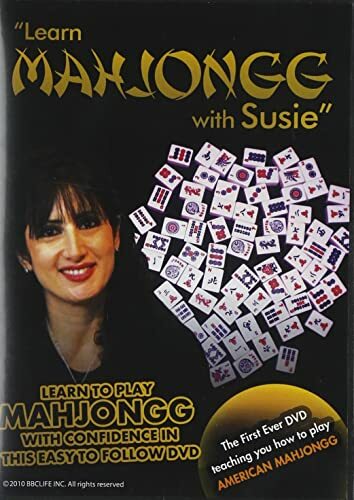 So if you've been on the outside and want to learn how to play Mahjong but didn't have a patient teacher, let Susie be your guide. You'll fall in love with her patient and clear teaching style an learn how to play American Mahjong with confidence. This brand new DVD makes a complex game simple. This tutorial takes the viewer from opening up his Mahjongg set to finishing the game. Both traditional Chinese Mahjongg and American Mahjongg are explained in detail. Excellent graphics and music add to the enjoyment of learning this wonderful game. Showing this educational DVD to your friends will help them grasp what they need to know to sit at the table and start racking tiles. Below are a few online videos that provide tutorials on how to play mahjong. Some cover American mahjong and others Riichi mahjong. 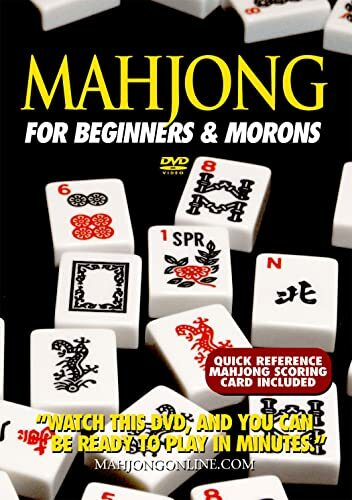 Below are a few useful online tutorials that teach how to play mahjong, including mahj cheat sheets and mahj strategy.